When the Honda CR-Z hit the road a few years ago, the concept of a sporty hybrid was laughable. The CR-Z was neither sporty nor was it especially fuel-efficient. It clearly missed both marks, leaving most of us scratching our heads. With the historic unveiling of the Ferrari LaFerrari and the McLaren P1 heavy-hitting hybrids, sporty production hybrids are finally realistic. Chief Toyota engineer, Tetsuya Tada, confirmed in an Autocar interview last week that the brand is hard at work playing with Toyota GT-86 variants, which is sold in the U.S. as the Scion FR-S. Chief among them is a hybrid version. While it’s been long rumored that Toyota was playing with turbo and supercharged versions of its GT-86, “but an electric motor assistance solution is also possible, and would bring benefits that forced induction does not.” Tada said, speaking to Autocar at Geneva last week. The benefits are clear, when you think about it. A turbo or supercharger can add power, sure, but typically at higher RPMs. A hybrid, on the other hand, could fill out low-end torque with electric motor assistance as well as adding more weight lower in the car. 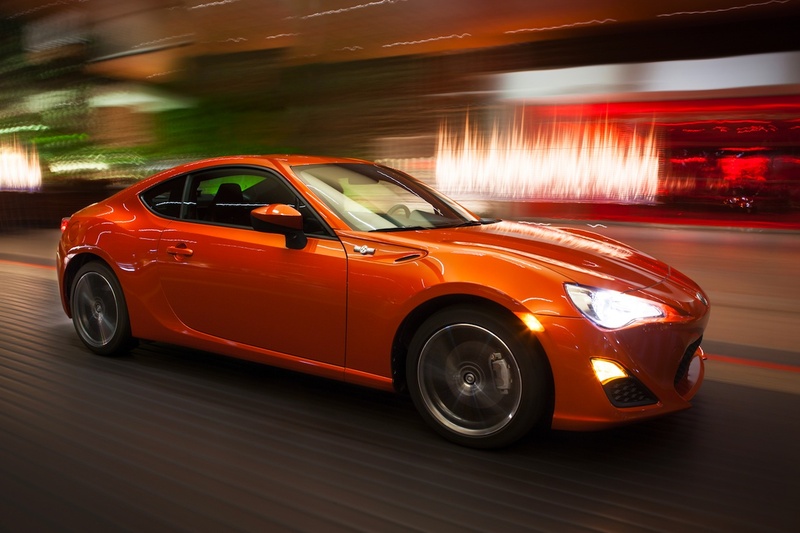 Toyota has been obsessed with keeping the center of gravity as low as possible in the GT-86. It’s quite excited about the potential to improve upon that weight balance while also adding power. “Our TRD tuning department has found it easy to take 100kg out of the curb weight, and have developed certain under-body fins and plates that can be employed to alter the dynamic balance of the car, to increase or reduce oversteer at medium and high speeds. They have quite a pronounced effect,” Tada added. So will the refreshed Scion FR-S have a hybrid powerplant under the hood? Quite possibly. Since Toyota has met and exceeded its sales goals, buyers should expect to see the convertible concept version unveiled at Geneva last week, the FT-86 Open, and a souped-up powertrain added to the mix for 2015.